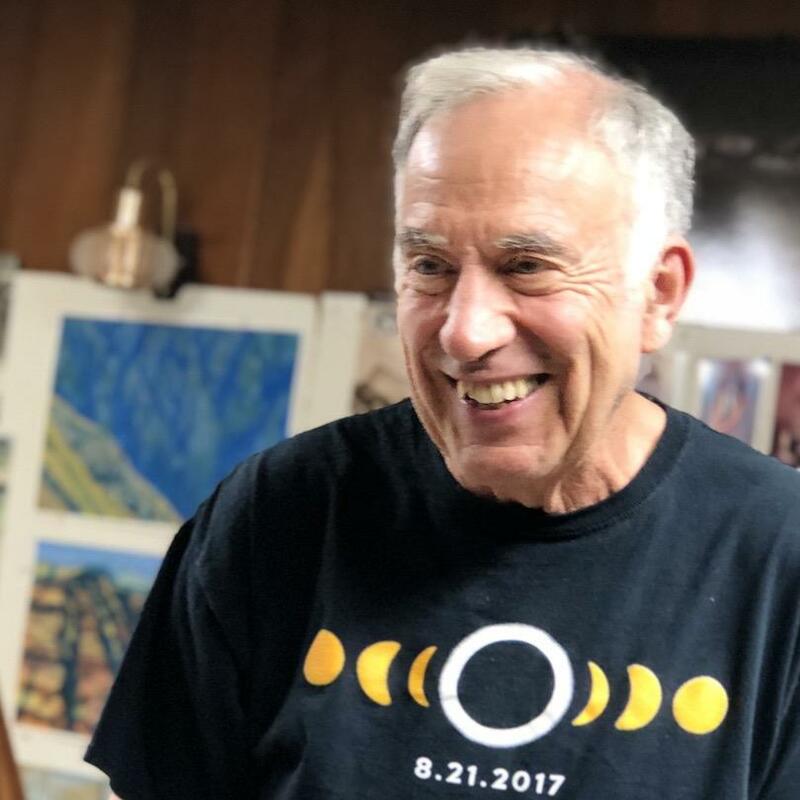 "I’m an etcher and a painter, and in the last four years, I’ve been concentrating on high country landscapes… the Oregon Cascades, including Mt. Rainier, and then I worked my way north and have been concentrating on Alaska, glaciers and mountains." When Greg says “glaciers,” expect to see very large scale prints of enormous glaciers sometimes dwarfing tiny humans to give a sense of scale. The glaciers are corrugated with crevasses and layered in shades of ice, rock, and sky. "They’re wilderness areas and it’s a spiritual exploration. 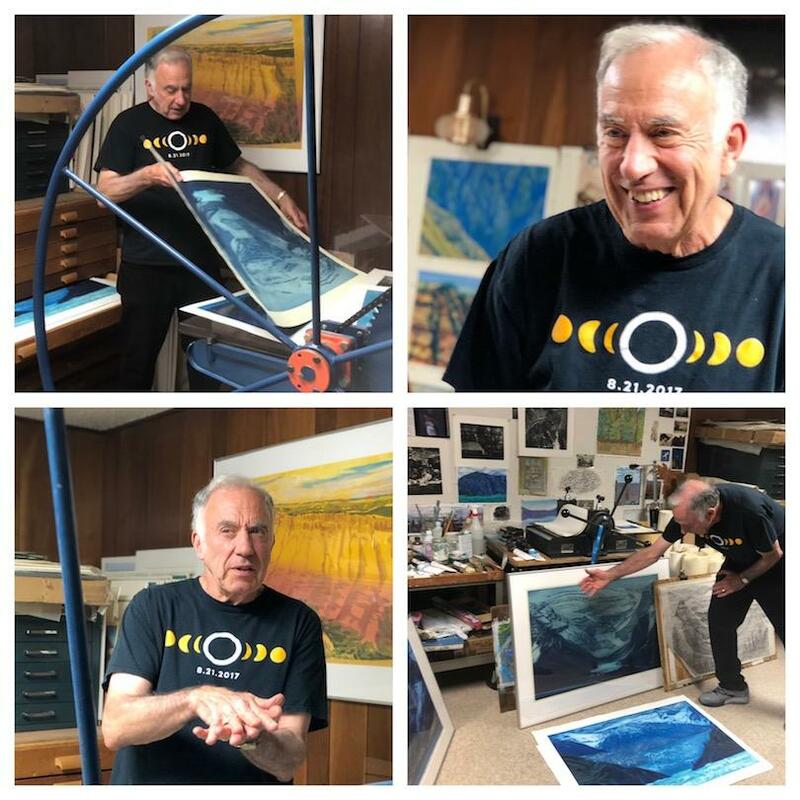 I find it’s the most interesting to me because the forms of the landscape can be quite varied--they can be very abstract, and be both abstract and realistic at the same time, and I like to play on that tension." "...is having an encounter with nature that’s wild, and I like severe climate. For example, in the Cascades, my favorite zone is from six to eight thousand feet because that’s where all these different kinds of forms start mixing, so you get timberline disappearing or fading into tundra. 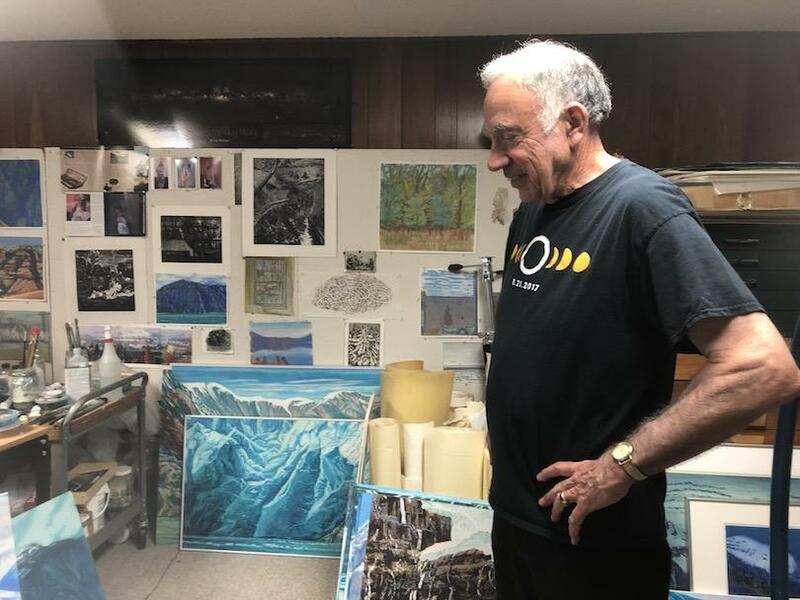 You get glaciers as part of the scene, snow patches--so you get this very diverse combination of pictorial elements, but it is also this connectedness that I feel with that kind of landscape." Greg has just been honored to be one of twelve artists who will show for a month in the Governor’s Office during 2019. An exhibit in the Governor’s Office is considered a lifetime honor.